Dr. Halim has been practicing general dentistry since 1999 and is a graduate of the Dental School at the University of Alberta. 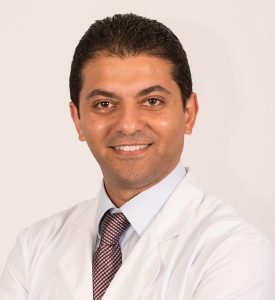 Dr. Halim has a strong desire to offer his patients the latest dentistry has to offer. He is continually upgrading his extensive knowledge base with continuing education courses in a variety of areas. His training in CAD-CAM technology allows him to provide most patients with single-visit crowns. His practice is also expanding in the field of implantology, as more and more people in the community require implant treatment to replace missing teeth. His gentle approach to his family practice provides each patient with individual care, creating as comfortable an experience as possible. Royal College of Dental Surgeons of Ontario (RCDSO). Outside the office Shadi enjoys spending time with his wife, Nevine and their son and daughter. He is a dedicated member of his church choir and the community.